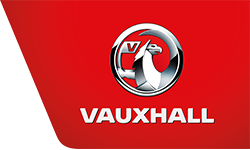 Vauxhall Corsa SXi A/Con Specification includes: Air Conditioning with Air Recirculation Facility. Sports Front Seats. Sports Leather Steering Wheel. Sports Alloy Wheels. Front Fog Lights. Tinted Glass. Cruise Control. Trip Computer. Vehicle History: We supplied this low-mileage and sporty Corsa to the last keeper and it boasts a FULL VAUXHALL SERVICE HISTORY with ourselves. It comes provided with two remote control keys plus the key for the alloy wheel locking nuts. Further Specification Information: Cup Holders, Aux In Socket and 12v Power Socket in Centre Console. Daytime Running Lights. CD/Radio/MP3 with Fingertip Hi Fi Controls. Power Steering. Electric Front Windows. Electric Door Mirrors. Remote Central Deadlocking. Factory Immobiliser. Height Adjustment to Driver Seat. Reach/Rake Adjustment to Steering Column. Driver/Passenger/Side/Curtain Air Bags. ABS Braking. ISOFIX Child Seat Mountings to Outer Rear Seats. Front and Rear Headrests. Colour Coded Exterior. 5-speed Manual Gearbox.